WWE Hall of Famer Roderick George Toombs, a.k.a. "Rowdy" Roddy Piper, passed away at his home in Hollywood, CA at the age of 61, according to TMZ Sports. Roddy Piper is said to have died from cardiac arrest in his sleep on Thursday night. He was discoveredthe next next day. 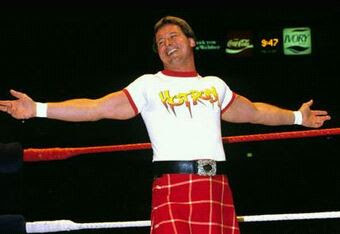 Piper had been diagnosed with cancer in 2006. He was scheduled to wrestle at the Survivor Series that year, teaming with Ric Flair, Arn Anderson, Sgt. Slaughter and Dusty Rhodes against the Spirit Squad, however he was replaced in the match by Ron Simmons. He had told Hillsboro Tribune in an interview in November 2014 that he was now cancer free. "The cancer is gone as far as I know," Piper said. "I've passed the five-year mark. It's one of those things that haunts you a little bit, especially when you go as hard as I did. I'm doing OK, but about a year ago, I was driving home and I couldn't breathe and almost passed out. I was trying to ignore it, but I had a blood clot in my lung and spent some time in the hospital. I need to start being careful. I'm not sure we're invincible anymore."